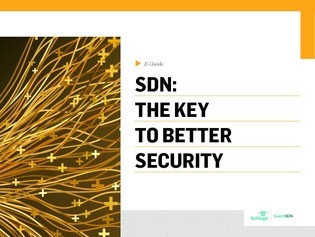 Does SDN hold the key to better security? Most organizations realize by now that they can no longer rely on a hardened network perimeter to prevent cyberattacks. Luckily, advances in SDN technologies enable the network to identify traffic patterns that signal a cyberattack and to segment the network to prevent attackers from moving throughout the organization. In this expert e-guide, networking experts Lee Doyle and Judith M. Myerson explain how to strengthen SDN network security to prevent breaches, and how to improve SDN controller security with a 5-step risk management plan.